So I took A LOT of swim suits on this trip. Like I said in my previous post, I basically only wore swimwear the entire time. I mean, why would you not when you're on the beach all day for 9 days?! I've always been sort of skeptical when it came to trying the high waisted trend, but I really liked Becca Swim's design. I've seen these style bottoms look terrible and look great, so I was pleasantly surprised that this was my go-to suit of the trip. My favorite part is they give you coverage over that part of your tummy that I'm sure we all like least! It's not always my favorite thing to wear a one piece and the Becca High Waisted Bottoms gave me the coverage without having the one piece feel. The day Ryan and I went to Maho Bay, we were so excited to get prime real estate under two perfectly placed palm trees. 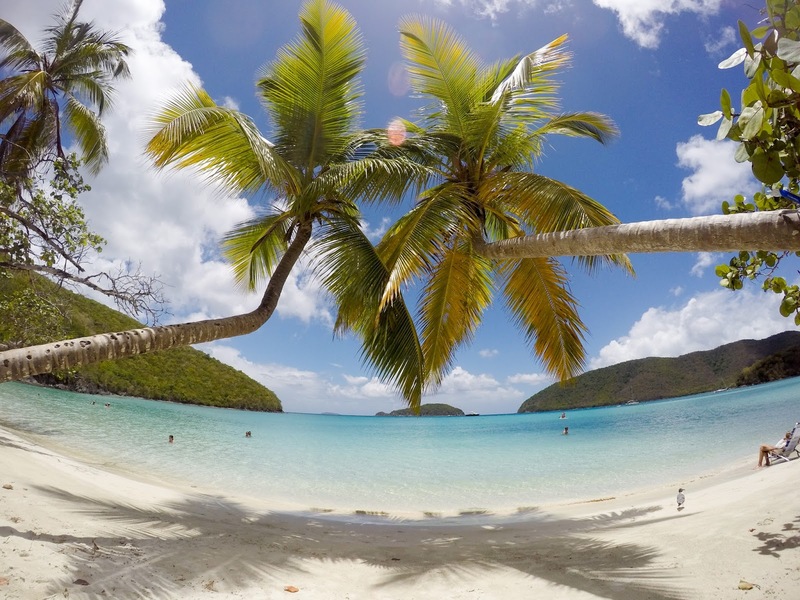 If you google image search Maho Bay, this is likely the same photo you'll find all over the internet! 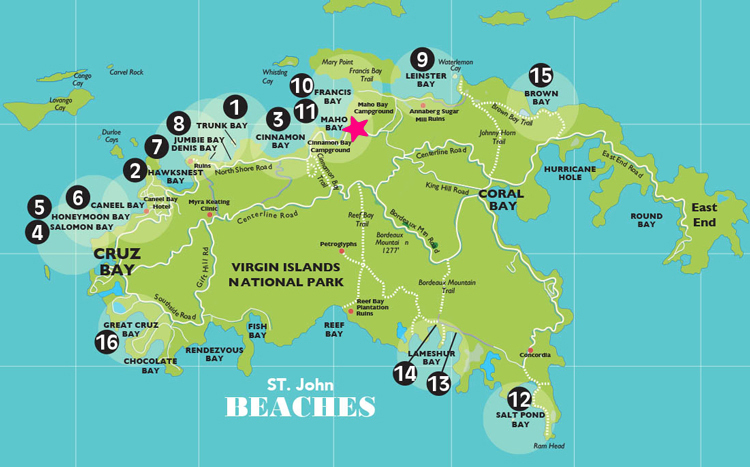 This would be a perfect place to set up a hammock and nap :) Maho Bay is super close to the main road and fairly easy to get to -- no hikes. It was also my favorite place to snorkel because it had a huge coral reef off to the left that was an easy swim from shore. 4th of July | JORD Giveaway!